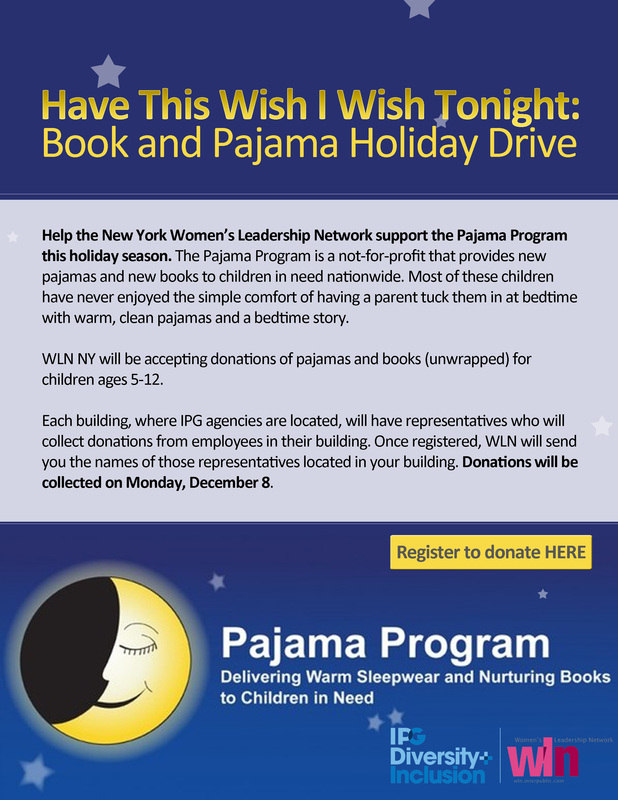 Help the NY Chapter of the Women’s Leadership Network support the Pajama Program, a not-for-profit that provides new pajamas and new books to children in need. You can participate by contributing to the Have this Wish I Wish Tonight: Book and Pajama Holiday Drive. Register to donate here.